"Money makes the world go round"… all around the world. The blog guide to cheap travel worldwide. A blog about life, love, men, shopping and me! We have all heard about payday loan company, Wonga, being forced to write off £220million worth of loans as well as scrapping the interest and charges for a further 45,000 customers. The question is: do payday loans have a future? From the end of 2014, the FCA (Financial Conduct Authority) will implement new regulations that may make running this type of business less attractive. For a start, they will cap interest rates to 0.8% a day to stop companies like Wonga charging terrifying APRs in excess of 5000%. They will also allow default fees of no more than £15 and restrict the total cost of the loan to no more than 100% of the original amount. In addition to these regulations, payday loan companies will need to be fully authorised by the FCA and will need to improve their data sharing practices to prevent borrowers from receiving money from multiple lenders at once. Clamping down on this type of lending comes after a campaign by Citizens Advice to stop these firms from carrying out immoral practices and the government’s Money Advice Service giving out warnings to potential borrowers and steering them towards alternative methods of solving their money problems. 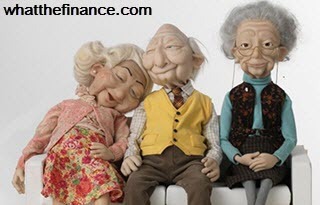 Although the danger of using these types of lenders has always been apparent, the recent coverage of Wonga’s activities has highlighted just how abhorrent their ways of conducting themselves can be. Not only did they repeatedly roll over loans at exorbitant interest rates an unlimited number of times, forcing people deeper and deeper into debt, they also sent fake legal letters to frighten their customers into paying up. Many people have suggested that this sort of behaviour essentially makes Wonga legal loan sharks. The Guardian newspaper have recently pointed out that it is not just Wonga who are carrying on in this way and they have speculated that a whole host of other payday loan companies may soon come under similar scrutiny and be forced to make similar reparations. Given the negative press and upcoming tightening up of regulation, it is hard to imagine that there is a future for payday loan companies. However, some commentators are worried that, if payday lenders were to cease operating, then it would force people desperate for money with poor credit ratings to turn to far more dangerous illegal loan sharks and other risky means of obtaining money. Therefore, it seems that payday loan companies do have their place but the new restrictions and recent bad press may make it less attractive for these companies to operate in their current forms. Will they adapt or will they fold? Only time will tell. Entry was postedon Friday, October 10th, 2014 at 9:45 am	under NewsWire Category.You can skip to the end and leave a response. Pinging is currently not allowed.